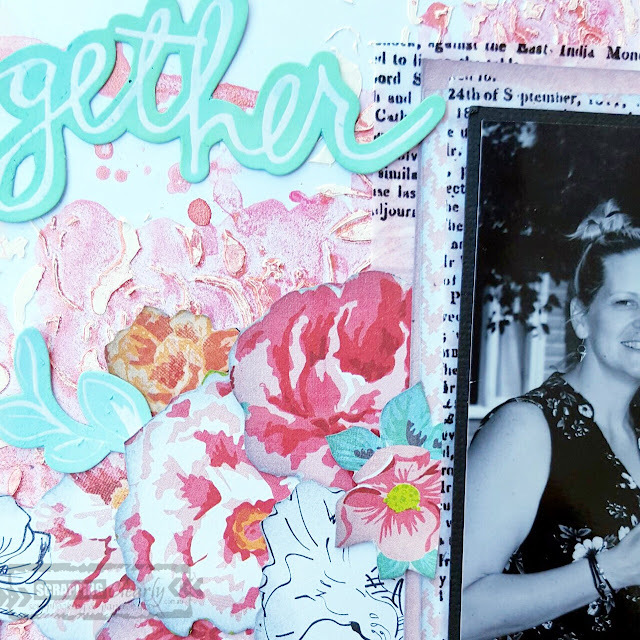 Scrappingclearly Scrapbooking and Papercrafts: Together - Lisa J Made a Girly Page! 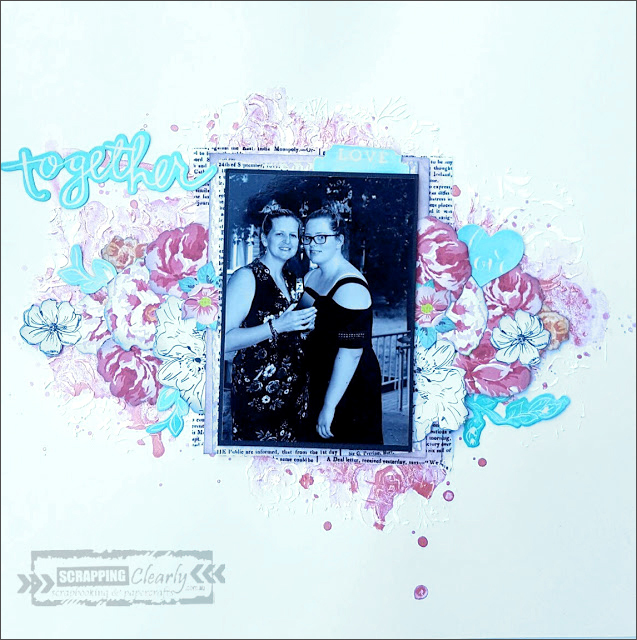 Together - Lisa J Made a Girly Page! 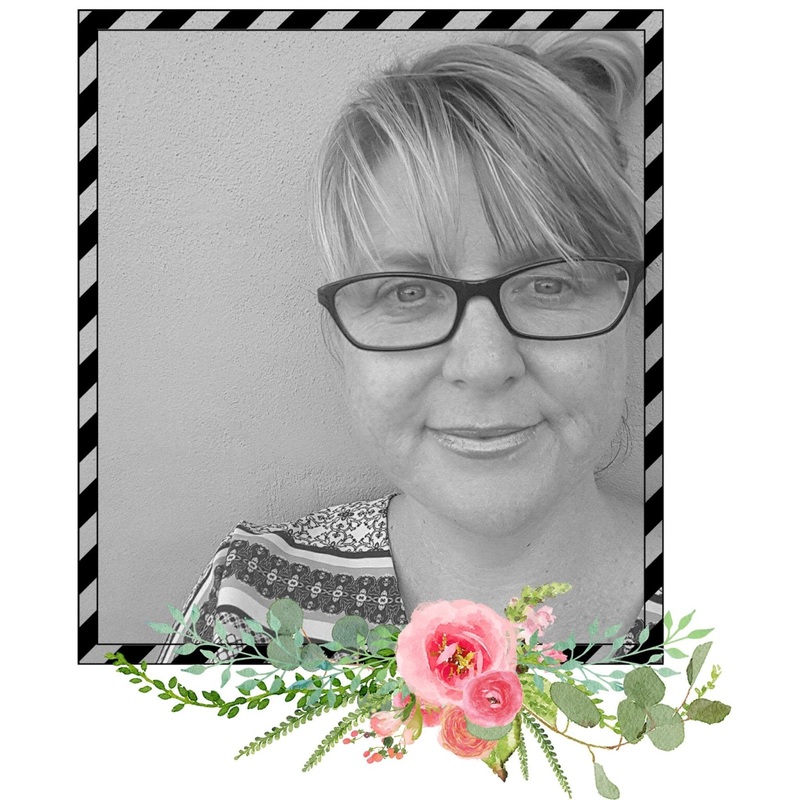 As a mum to four boys you can probably guess it is pretty rare for me to make a girly page. At a scrap retreat last weekend I decided to challenge myself and I embraced my girly side to scrap a photo of my sister and niece. I fussy cut a tonne of flowers from this stunning floral paper from the Heidi Swapp September Skies 6x6 paper pad. 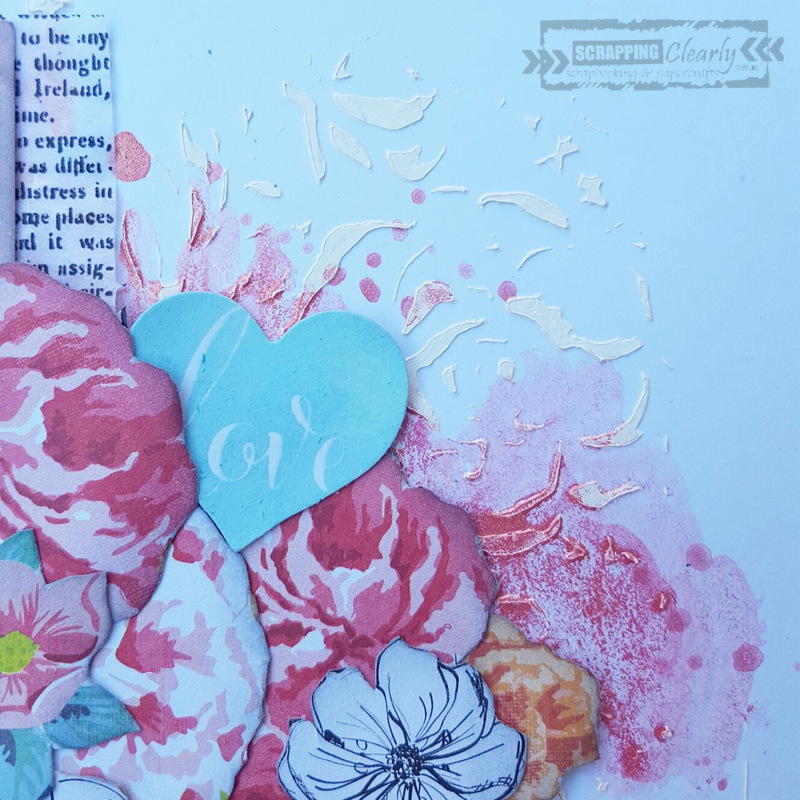 I stencilled my white cardstock background with modelling paste using a floral stencil. I used some Color Shine in Georgia Peach and brushed on some gorgeous shimmery colour. Next step was to add some layers around my photo using co-ordinating papers from September Skies and some tissue paper. 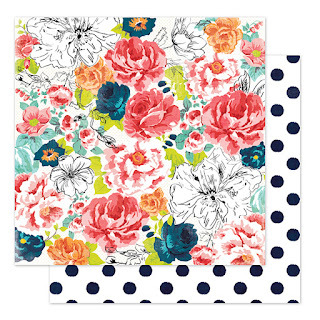 A similar tissue paper can be found here. I added some colour to the Heidi Swapp Color Magic die-cuts using Distress Oxides in Cracked Pistachio and Faded Jeans. I swiped the inks on to my messy mat added a spritz of water then used my blending tool to combine the inks to create the perfect shade and add colour to my chosen pieces. These are so fun to play with and so easy to alter to suit any project. This was a fun layout to create and it is always good to try something out of your usual style. Cards From Leftovers - With Karyn Schultz! Olde Worlde art journal with Em. Then and Now - My Evolution as an Art Journalist. Here and Now Layout - With Karyn Schultz! Her Power is Within. An Art Journal page. Why you must have a Gel Plate in your Art Stash. Unforgettable - With Karyn Schultz! In Search of Mojo - What do you do?